Dog Guardians should be aware of what is in their dog’s food be it from a can, a plastic wrapped covered chub of fresh or frozen food, or dry food from a package. 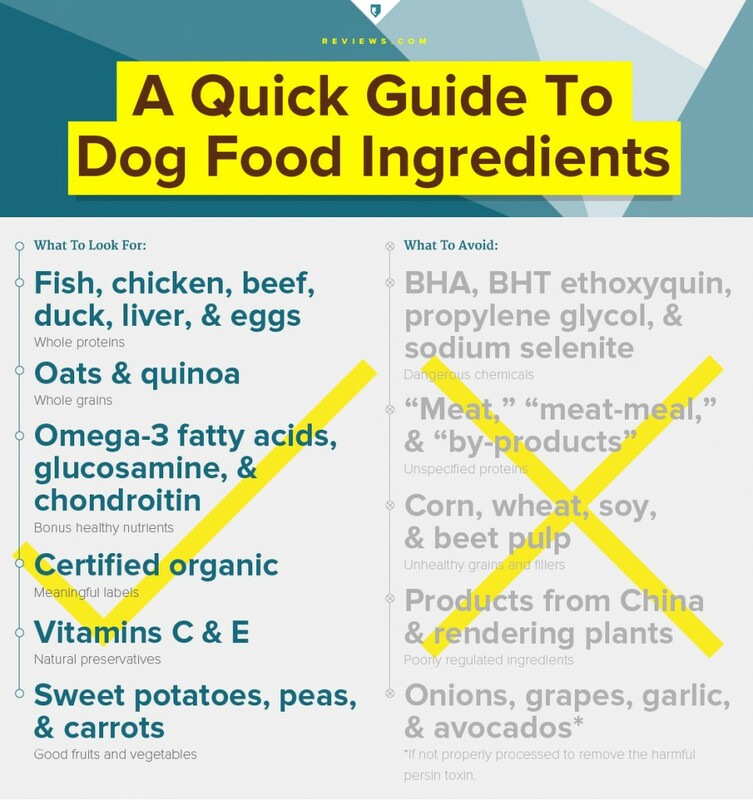 We have several articles about byproducts and additives in dog food, dog food guidelines, on our Nutrition page, and the postings of the latest dog food/treat recalls. A new study has come out from the researchers at Reviews.com. On their page about their latest research, http://www.reviews.com/dog-food/, they go into how they conducted their extensive study, the surveys they took, and their recommendations. This is just one of their comparison charts. For more, click on their link.